Retail, hospitality and commercial real estate are also growing significantly, providing the much-needed infrastructure for India's growing needs. The real estate is experiencing different demands coming from the millennial, who are more interested in temporary engagement rather than permanent investments towards their working space and living space as well. Real estate sector in India is expected to reach a market size of US$ US$ 1 trillion by 2030 from US$ 120 billion in 2017 and contribute 13 per cent of the country’s GDP by 2025. Retail, hospitality and commercial real estate are also growing significantly, providing the much-needed infrastructure for India's growing needs. Commercial office stock in India is expected to cross 600 million square feet by 2018 end while office space leasing in the top eight cities is expected to cross 100 million square feet during 2018-20. Grade-A office space absorption is expected to cross 700 million square feet by 2022, with Delhi-NCR contributing the most to this demand. It all started with sharing space in cabs and now it has reached sharing spaces in daily life. Co-living and co-working spaces are gaining popularity among the millennial because they believe in staying free and working according to will. 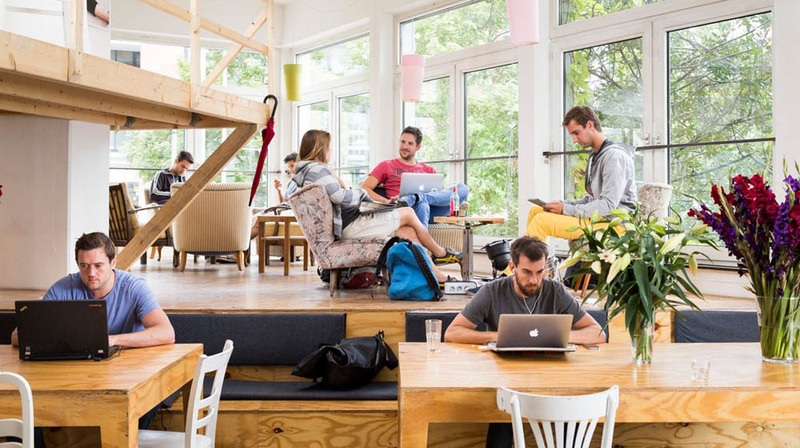 What makes co-working spaces a profitable segment? These shared spaces are often in prime locations and provide a perfect platform for growth-seeking start-ups. They do not require a massive fixed capital investment. The co-working sector is currently at a very nascent stage in India and with the ever-growing number of start-ups in the country, the demand for such spaces in growing tremendously. In the current scenario, this segment is expected to grow at an annual rate of almost 30-40%. There certainly exists an immense opportunity for multiple players to leverage the growth of co-working spaces in India. Co-living spaces and rentals have taken the real estate business to different spheres altogether. While it is largely the major cities like Bengaluru, Mumbai, Gurgaon and Pune that began promoting this concept, the demand for co-living spaces is also gradually percolating into tier 2 cities like Jaipur and Lucknow where both working millennials and students are increasingly opting for co-living spaces. As per IMF’s last estimate two years ago, India’s residential rental market was estimated to be a more than US $20 billion market comprising of $13.5 billion in urban areas, $0.8 billion in rural areas, and $5.7 billion of vacant properties held by non-resident Indians living abroad. Important Departments In A School Business.. Creating Educational Opportunities & Cultural Rela..